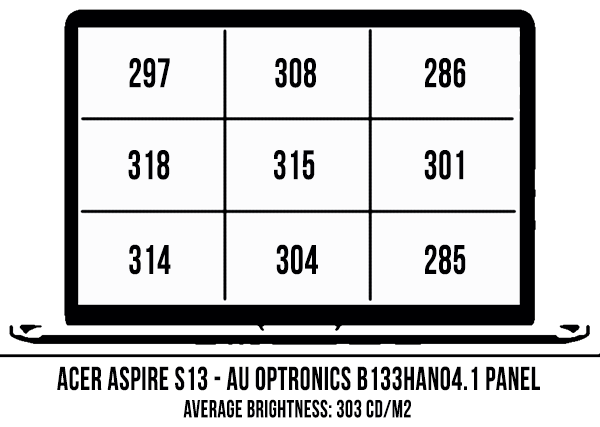 Summary: The Aspire S13 is one of the better ultraportables you can get these days for a decent amount of money. It offers a good screen, fast hardware and decent battery life, all packed in a thin and fairly well built package. 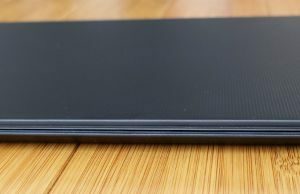 It's not as stylish or as silent as the premium 13-inchers on its class, and it doesn't offer some of the latest features, but considering how much it costs, this notebook is a great buy for the average user. 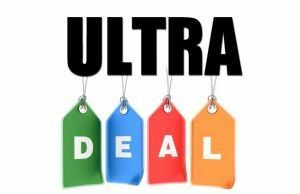 While the offer for well-priced ultraportables that make little to no compromises hasn’t been fruitful over the years, the tides have changed during late 2015 and the first half of 2016, with devices like the Asus Zenbook UX305LA, the UX305UA, the HP Envy 13 or the Lenovo ThinkPad 13, among others. 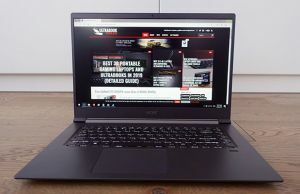 Acer were a bit late to the party, but their recent Aspire S13 (code name S5-371) is a actually a great entry into this segment, and like the other devices mentioned above, you’ll find a pretty solid configuration with modern hardware and features for under $800 (or around 900 EUR in Europe – tech is more expensive over here). 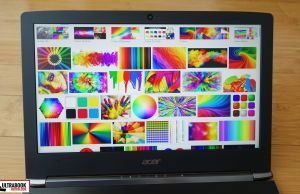 I’ve spent the last two weeks with the Acer Aspire S13 and this post includes my impressions and feedback gathered during this time. 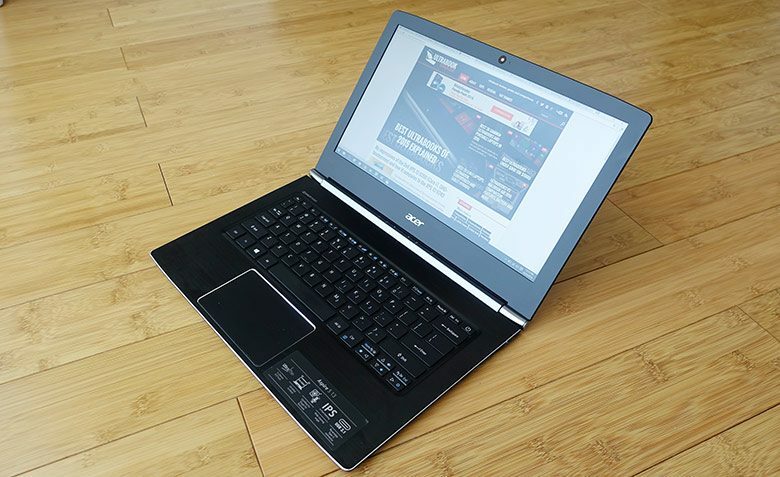 The unit was sent over by Acer for the purpose of this review, and went back afterwards. In few words, there are still some aspects that need further polishing here, but overall, Acer did a good job and I’d expect this machine to get popular in the months to come. Keep reading to find out why. On the outside, the Aspire S13 is pretty much a shrunk replica of the Aspire V15s that we’ve seen around for the last two years.We got to test the Black model, but a White version is also available, which is pretty unique for this class. A soft and textured plastic is used for the hood cover, matte plastic is used for the underbelly, and the interior gets a brushed aluminum coating. The aesthetics are mostly sober, but not dull, and you actually get a few silver elements mixed up with in this otherwise black theme: the laptop’s back edge and hinges are made from silver plastic and get an Aspire S engraving on it, there’s a shinny Acer logo on the hood, and the interior gets a chamfered metallic rim around. 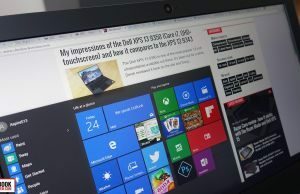 The build quality is OK, but this laptop does not feel as solid as some of the other devices out there, even those in this segment, like the Zenbook UX305UA or the ThinkPad 13. The smooth case offers good grip, but the plastic squeaks and flexes when grabbing the laptop to carry it around. One other detail you should have in mind about the finishing on the lid-cover is that you’d better treat it well, as I’ve seen various reports on the forums that claimed it chips off fairly easily on the V15s and V17s. That aside, this notebook is pretty much as compact as most other current 13-inchers, it’s thin (around 15 mm or .6 of an inch) and light, weighing 1.3 kilos (2.9 lbs). On the practical side, the hinges on the Acer S13 feel strong, but you’ll need both hands to lift up the screen. The palm-rest is spacious, but the dark metal is going to show smudges easily. 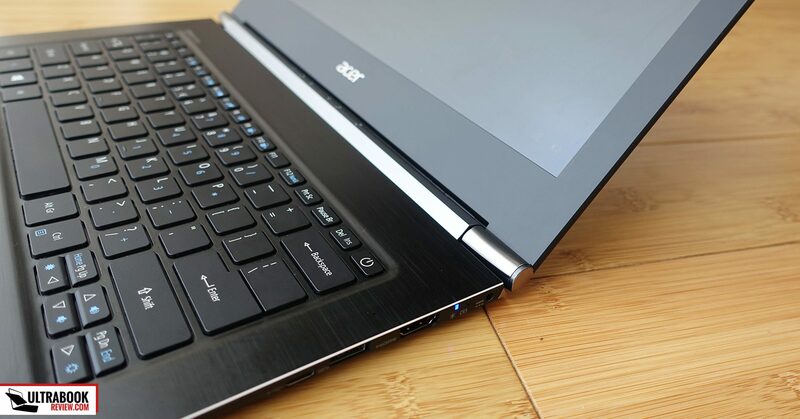 Besides this, the edges are a little sharp and might bother those of you with more sensitive skin around the wrists, but the laptop has a low profile so I don’t consider them a major issue, although I do feel Acer somewhat hindered the experience for the looks here. The IO is placed around the lateral edges, while on the back side you’ll find two grills, one for intake and another for blowing out hot air, since this computer gets a single fan. You’ll also find some intake grills on the bottom and the one on top of the fan doesn’t have any protective mesh, so I expect dust to gather easily on the blades. Again, not a big thing, but those of you living in dusty places might want to get this serviced yearly, if possible, or use a can of air to blow out dust from time to time. You’ll also find the speakers on the belly and four rubber feet, which offer decent grip on a desk. Back to the IO, the Aspire S13 includes two USB 3.0 slots, one USB 3.1 Type-C slot (a gen1 port though, without Thunderbolt 3 support), a full-size HDMI connector and an SD card-reader with a plastic cover. It’s a bit annoying that the HDMI port and the PSU are placed on the right edge, but at least they’re positioned towards the back and won’t severely interfere with a mouse, in case you plan to use one. 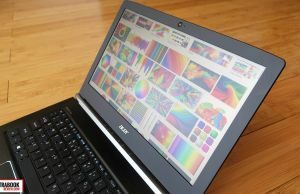 OK, so overall I consider that most of you will love how this laptop looks or feels. I do, and my judgement is actually a bit subjective, as much as I try not to, since I’m used to the higher build quality of my XPS 13, which is however a device that plays in a different league, price-wise. 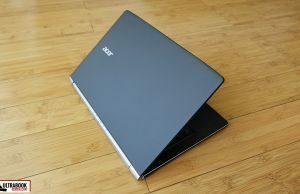 I’ve typed this review on the Aspire S13 and a few other posts, so around 7-10K words on it, and I’m left with mix feelings. The keys get a matte and rugged finishing that I like, they are well spaced and sized, and the layout is mostly OK, with the exception of the somewhat cramped arrow keys and the Power button integrated as the right-top key, which is by default set to do nothing while the computer runs, so you won’t put the laptop to sleep by accident, like with the Zenbooks. However, this keyboard is shallow, as the keys have limited drop and could use a firmer response point. I’d say it’s even shallower than on the XPS 13, but even so, typing on it was a fairly pleasant experience for me. I was able to match my average typing speeds quite fast and didn’t make a lot of typos either. 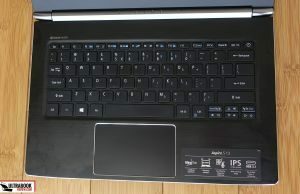 The keyboard is also silent, including the Space key, and backlit, with light-blue LEDs and two levels of adjustment. However, there’s one complaint here: the back-lightning isn’t activated by a swipe across the touchpad, like on most other notebooks, so when it shuts off (after 30 seconds from the last hit) you actually have to hit a key to lit up the entire keyboard. This seems minor, but it’s actually quite annoying. The trackpad sits beneath the keyboard. 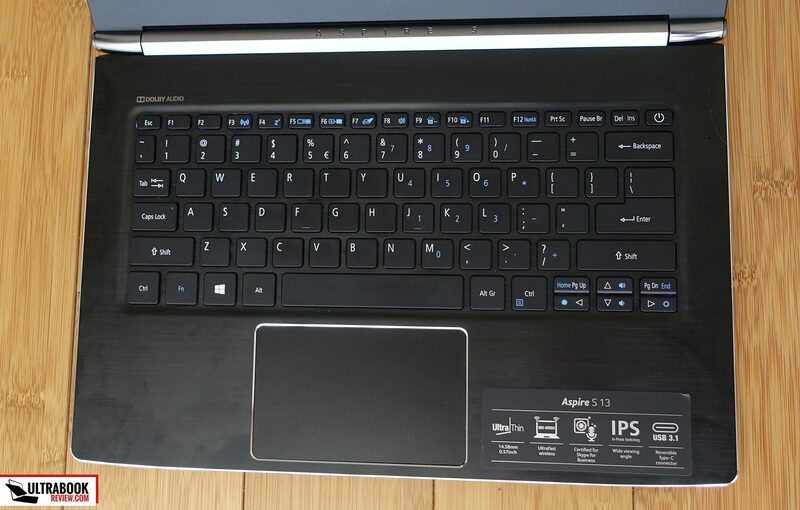 It gets a shinny chamfered edge around and it’s centered on the laptop’s body, not under the Space key. Its surface feels just about right, maybe a tint too rugged, and performs well. I can’t complain about anything: taps, swipes, gestures, all are handled well and accurately, and even the physical clicks work properly and aren’t noisy. There’s no support for two finger right and left swipes for Back and Forward in the browser, like on all Microsoft Precision solutions, but that aside, top marks here. The Aspire S13 gets a 13.3-inch FHD matte panel, which I feel is a great choice for it. It’s bright enough for indoor use and even for well-lit environments, it offers solid blacks and contrast, and it shows fairly accurate colors. This isn’t a wide gamut panel, but for daily use, it’s good enough. And you can also find our calibrated profile here, if you want to make those colors look more natural. Average DeltaE: 1.66 uncalibrated, 1.00 calibrated. These aside, I haven’t noticed any annoying light bleeding around the edges, the panel doesn’t use PWM, and one other aspect to mention here is that the screen leans back to around 160 degrees, which isn’t perfect, but makes the laptop usable in most conditions. This is a big deal for me. 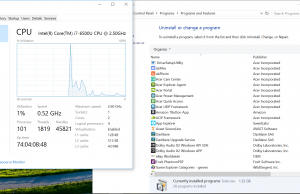 I got to test the most powerful version of the Aspire S13 that’s going to be available in stores, with an Intel Core i7-6500U processor, 8 GB of RAM and a 512 GB SSD. 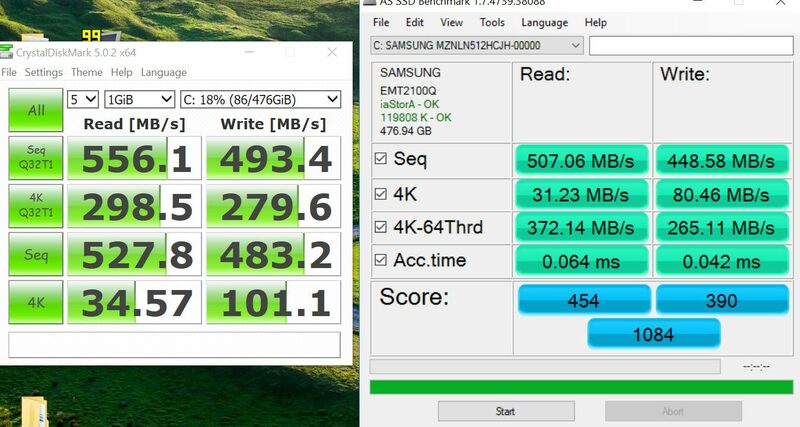 A Samsung PM871 SSD is used for storage, which only supports SATA speeds, as you can see from the benchmarks below. 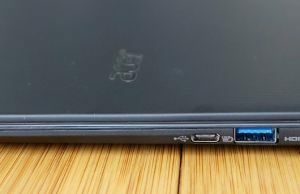 The CPU and the RAM are not upgradeable on this device, but if you’ll pop-up the back panel you’ll be able to access the storage drive and the Wi-Fi module, in case you might want to replace them. 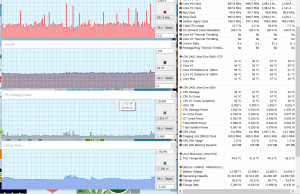 Overall, this laptop’s performance is top notch. It can handle daily activities at ease, it can run all sorts of multimedia content and it can tackle games or other demanding software as well, just remember this runs on a 15W hardware platform, so don’t have unrealistic expectations. 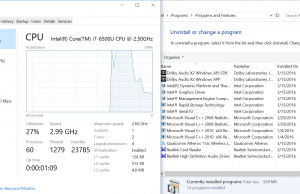 Still, in order to get the most out of it you’ll want to get rid of the dozen and so programs that come preinstalled, including the Acer software, McAfee, Office Trial and others. There’s quite a lot of bloatware on this thing, but that’s common for this segment. I’ve added some benchmarks results below. 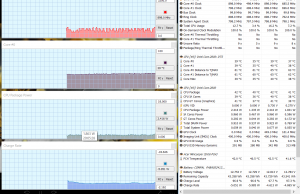 x264 Benchmark 4.0 32-bit: Pass 1 – 112.41 fps, Pass 2 – 21.33 fps. As for gaming, I’ve tried a few titles on the FHD resolution with low details and they ran well. 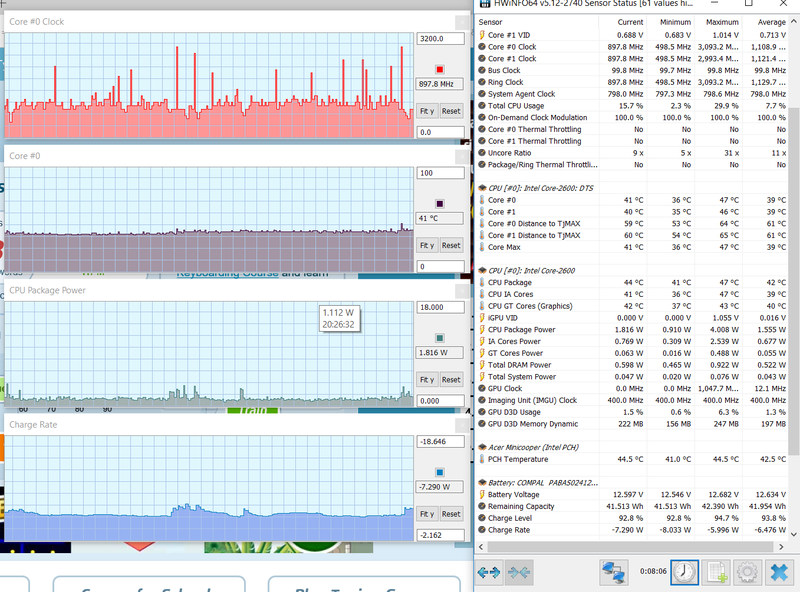 Analyzing the HWInfo logs (you’ll find them above), I also noticed that the CPU runs at TurboBoost frequencies even at high-loads, so there’s no trace of throttling, nor caused by high temperatures or by reaching the TDP limit. So top marks for the implementation here. When it comes to temperatures, the inner components rarely get past 70 degrees, which is excellent. However, the outer case gets a little hot and the fan inside is noisy. Daily use temperatures show temperatures of around 35-40 degrees for certain spots on the back, which is past the point that allows comfortable lap use for me, and I was in fact expecting a little better from a computer with a plastic shell that shouldn’t conduct heat as easily as those with metallic cases. Under load, the rear-back gets dangerously close to 50 degrees, as you can see in the pics below. The fan-noise is also annoying. First of all, the fan is aggressive and kicks on early. In fact, expect it to be active most of the time with daily use. On the lowest speeds, it’s not loud, but its pitch reaches an annoying tonality, which makes it more of an issue that it would be otherwise. I don’t have the tools to measure this or better put it in words, but these guys did and should help you understand what to expect here. Under load, the fan gets more audible, but it’s not noisier than on other ultraportables. The speakers can mostly cover the fan, as they are pretty loud (up to 84 dB at head-level in my test that consist of playing the song Pharell – Happy of Youtube at max volume) and the sounds isn’t muffled, despite them being placed on the belly. The sound quality isn’t stellar, but is half decent. The Music setting in the included Dolby App sounded best for me, from those available. It’s also worth noting that the speakers distort at volumes over 80%, but you won’t probably have to push them past that, most of the time. 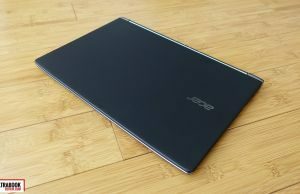 For connectivity, there’s Wireless AC and Bluetooth on the Aspire S13, and the Atheros module Acer chose for it performs well, both in close proximity to the router and when stepping further away, with walls in between. In fact, I haven’t encountered any drops or any issues at all with the Wi-Fi on this notebook. Last on the list is the webcam. Decent. 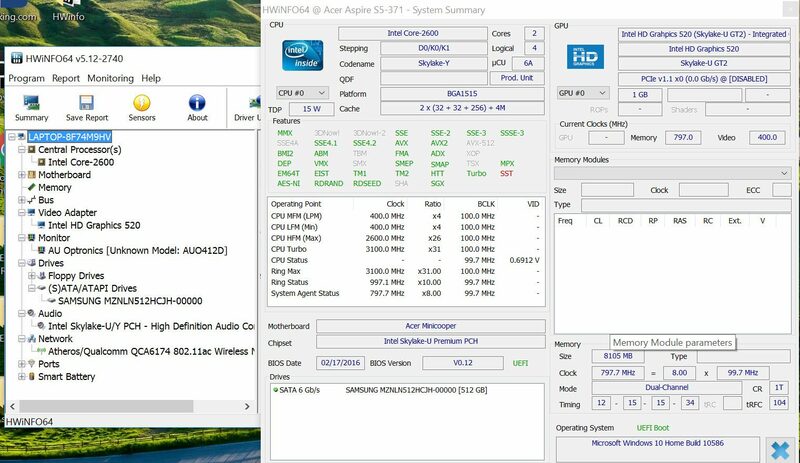 Results would have looked even better with a battery close to 55 Wh, like Asus puts on the Zenbooks. This notebook also gets a 45 W charger in the pack, and a full charge takes around 2 hours. 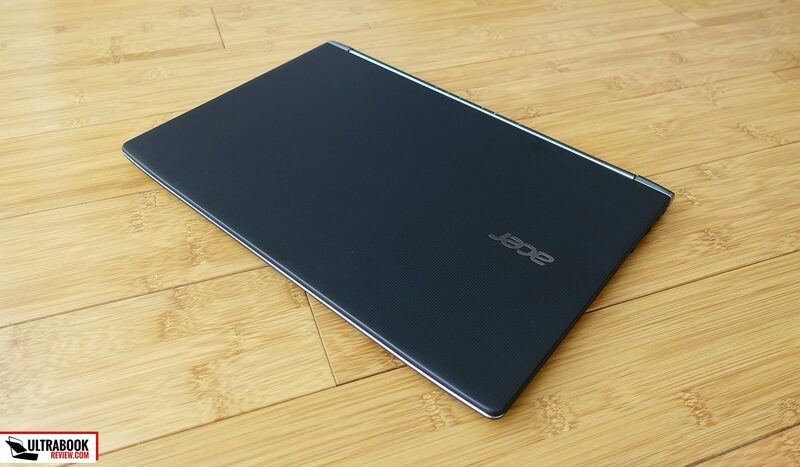 The best-buy configuration for the Acer Aspire S13 sells for around $750 these days and includes a Core i5-6200U processor, 8 GB of RAM and a 256 GB SSD. Core i3-6100U models with 4 GB of RAM and a 128 GB SSD are available for under $600, while the Core i7-6500U model reviewed here, with 8 GB of RAM and 512 GB SSD goes for $999. These are excellent prices for what you’re getting, and I’d suggest following this link for more details, up-to-date figures and potential discounts at the time you’re reading this article. The Aspire S13 is also available on other regions of the globe, but at least here in Europe the pricing is not as enticing as in the US, with the best-buy config mentioned above going for around 900 EUR and the top version listed at around 1100 EUR. 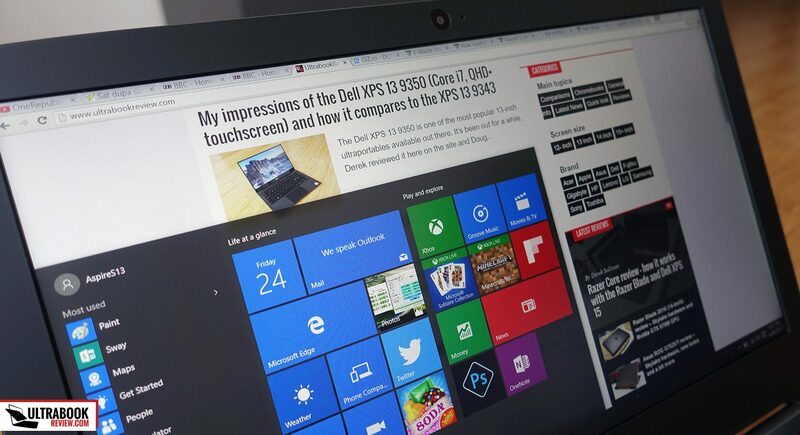 There are a few other solid 13-inchers that sell for around $800 and offer Skylake hardware and a matte IPS display. 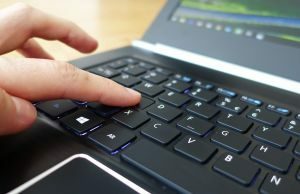 Among these, there’s the Zenbook UX305UA or the newer Zenbook UX306UA and Zenbook UX330UA, the HP Envy 13 or the Lenovo ThinkPad 13, each with pros and cons. I plan to cover them in a future dedicated article, so we won’t get in depth here. Those of you with a larger budget at hand could also check out the Dell XPS 13 9350, but a Core i5 / 8 GB / 256 GB config sells for around $1150 on Dell’s website, and it’s hard to justify the nearly $400 price difference between the options mentioned above and the XPS, so I’d reckon it would be an option if you absolutely want the premium build quality, the compact shape or that Thunderbolt 3 port. Well, for the money, the Acer Aspire S13 is a pretty great machine and reliability or quality control issues are the only aspects that might ruin it for potential buyers, but there’s no way to comment on those after only using the device for two weeks. All I can say is that I haven’t run into any problems and hopefully you won’t either. 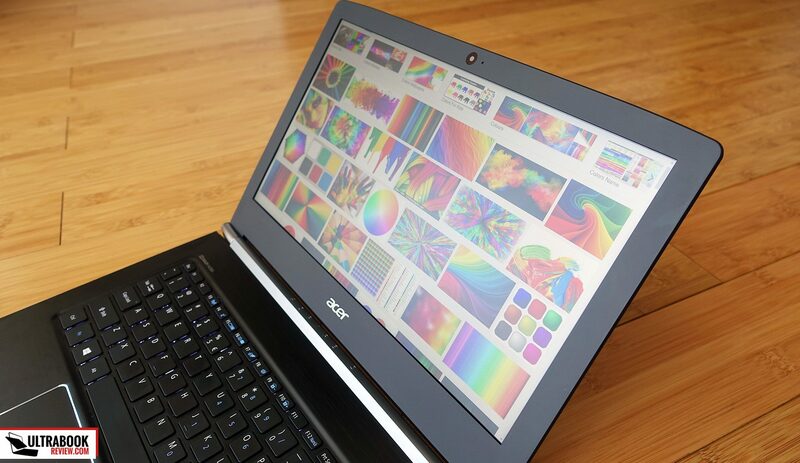 There are still some aspects Acer could have done better here. The build quality isn’t rock-solid, the keyboard is shallow, the case gets hot fast and the fan is noisy. 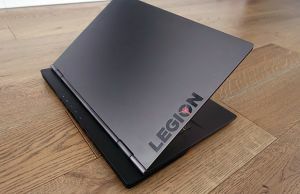 But when you look at how this laptop feels in daily use and how it performs, there’s a fair chance you can look past these details, especially if you’re a regular user with regular expectations, which is pretty much the customer this notebook targets. 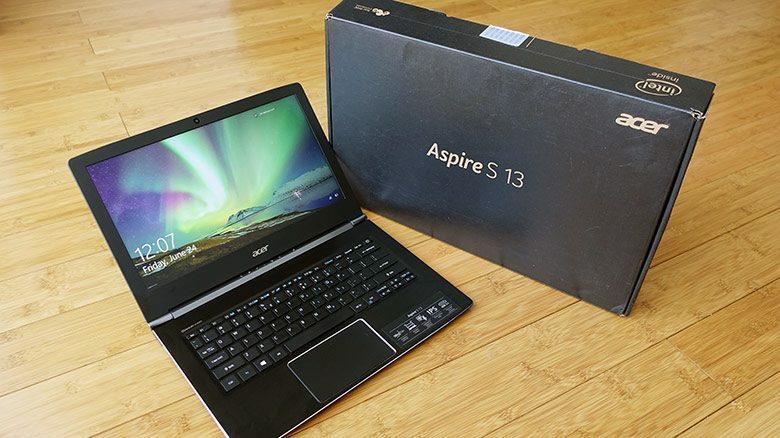 Those searching for premium-quality, touchscreens and other features will probably want to look to other options, but those who just need a portable and powerful 13-incher for daily use should fine this Aspire S13 just right. I do have to reiterate though that there are a few other options of similar 13-inchers out there, as mentioned in the section above, so better look into those as well, find out each model’s pros and cons and just pick the one that best suits you. 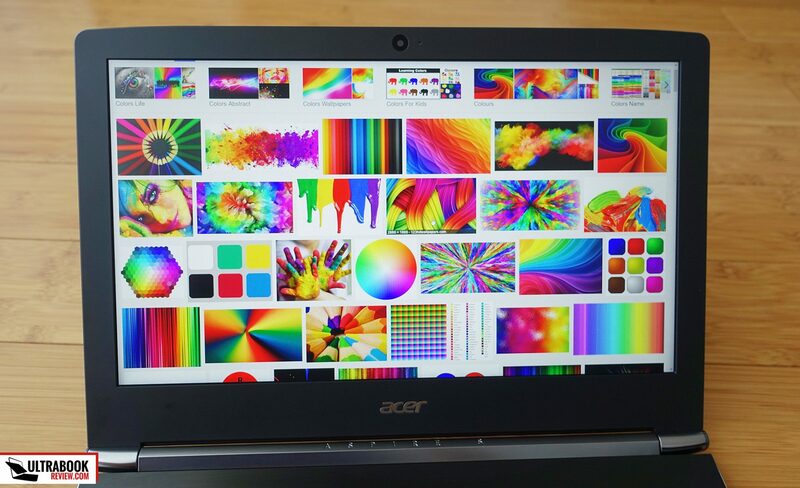 With that in mind, this was my review of the Acer Aspire S13 S5-371. Let me know what you think about it or if you have anything to add to the post, and get in touch in the comments section in case you have any questions or need any help with this notebook and other similar ones. Great web site, just recently discovered and it already is my main source of information now that I want to buy a laptop within this category. So it is fantastic to know that you’re preparing an article comparing all these laptops face to face! Looking very forward to it. I do have a petition. You complained in your XPS13 about the keyboard, which is not at the level that the price would require. 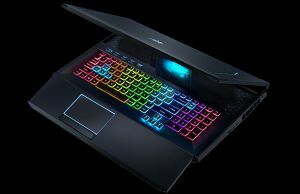 Since I am looking for a 1080p laptop that above all has good keyboard and good trackpad, it would be great if you can dedicate some words on that (comparing laptops). For example, is your XPS still the best in typing even though is not perfect? Another key aspect is the problems reported for laptop users. For the Asus for instance I’ve read complains that it doesn’t recover from sleep when you close the lid, or with the XPS13 about the trackpad (I have had a XPS12-2013 and the trackpad was absolutely bad, a complete disaster, which is why I recently sold it). If you google for it you end up discarding all of them. I also have a dying macbook air 13.3″, and I consider it provides the perfect keyboard and trackpad experience. I am even considering buying a macbook and installing windows on it if I cannot find a windows laptop without severe compromises. Hi, Well, the XPS does not have a great keyboard but I’ve gotten used to it. The trackpad is OK as long as you don’t rely heavily on gestures, in which case it’s going to disappoint. If you want a great trackpad/keyboard combo you’d probably have to go with a Mac Air. However, I’d wait for an update or maybe the new MBP, the current MBA hasn’t seen an update in more than a year now. Other options would be the business lines offered by Lenovo, Dell or HP. However, those are usually very expensive. 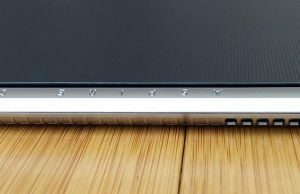 The Latitude 13 is especially something I’m very interested in, basically an XPS 13 with supposedly a better keyboard and trackpad. Then you’d say that keyboard+touchpad of the Acer S13 and the Asus UX305 (or 306 or 310, I didn’t know these were coming) are equal or worse than the XPS13? What about the Razer Stealth? I’m considering these 3 ones (or perhaps the XPS13) even though only the Asus (and Dell) is available here in Spain, and possibly I would choose the one that gives the best experience in this regard (+ FHD screen quality). Definitively I wanna run from Macs unless it’s unavoidable, I want/need to go back to W10. 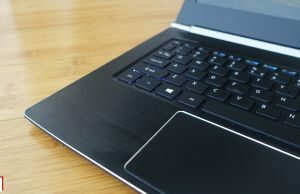 – the XPS 13 gets the better keyboard. Still shallow, but can get used to it. The trackpad is quite good as long as you don’t need to use gestures, if you rely heavily on those, it’s probably the worst of the three. – UX305 gets the worse keyboard and it’s not backlit. 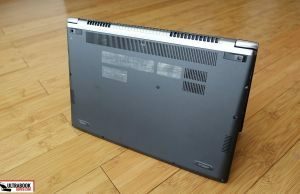 You might also want to put the ThinkPad 13 and the HP Envy 13 on your list if living in the US or other places where those are easily available. 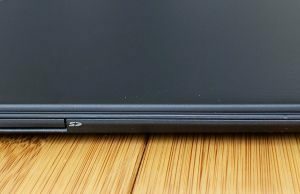 Especially the ThinkPad looks like a solid buy, from the reviews I’ve seen. 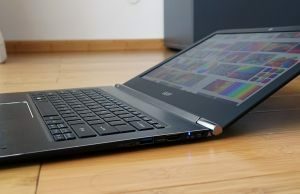 Between the XPS 13 and the Razer Blade Stealth, I’d choose the XPS for the keyboard and the RBS for the trackpad. The key travel is really shallow on the Razer so it really takes some tolerance and practice. Which one would you recommend as a first ultrabook? This or the Asus UX305 (or Asus UX330 as a third option)? Basically these are at the top of my budget, I’d prefer to go for one of the first 2. Design-wise I prefer the Asus, however I’m not sure how much would I benefit from buying the UX330 vs the UX305. Is the 330 much improved over the 305? Also, never had a backlit keyboard, so I don’t really know if that’s a true benefit for me. The real question is whether you want the backlit keyboard before. I never thought that’s important before I actually bought my first laptop with a backlit keyboard, and then I could never get back to anything else. It’s especially useful if you use the laptop at night or in dim environments. That aside, the UX305 and S13 are similar in many ways. I like the keyboard on the UX305 a little better, yet the trackpad on the S13 is more reliable. 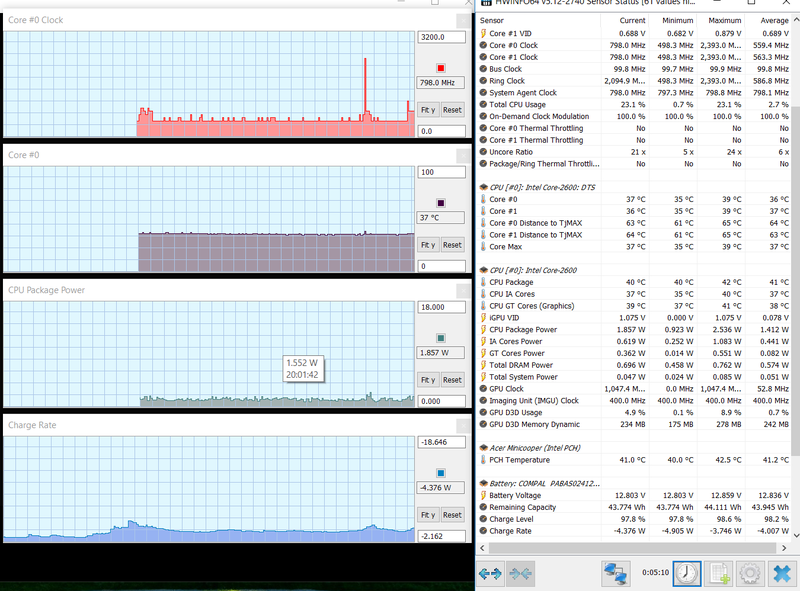 Both have aggressive fans, yet the S13 gets hotter under serious load, but both are fairly cool in daily use. 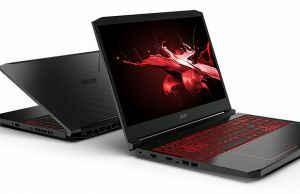 The Acer config comes with a Core i5 processor, which is enough for daily use and will cooler than my test unit, but if you plan to run games or any demanding software, you might want to go for the Core i7 on the UX305. The UX330 gets mostly the backlit keyboad over the ux305, all the other changes are really minor and some are actually annoying (limited screen angle, for example, and fairly dim panel). One other aspect to consider is the warranty services in your country each manufacturer offers, that could make the difference. Bottom point, if you’re a regular user without demanding needs and can live with a shallow keyboard that’s going to take time to get used to, I’d go for the Acer for the backlit keyboard and 1 extra warranty year. You should read other reviews as well, preferably user reviews on amazon, best buy, etc. I’m only telling my impressions in my reviews and albeit they are 100% true, chances are I might miss something or I might not actually run into some of the potential issues others might mention. Just keep in mind people tend to mostly post their complains online in those user reviews, things are usually not as bad as they might seem, but if there are many complaining about a certain aspect then it’s something you should have in mind. Thank you very much for the prompt answer. So if I like the Asus better overall (and let’s assume that I don’t need the keyboard backlight – so I’m curious about mainly other aspects e.g. build quality, future proofing (usb type C on the newer model) and screen quality – I regularly do some light photo editing), the UX330 is not worth the extra 15% in your opinion? I’m just a bit worried about choosing the older model, but with the same internals I don’t know if that’s really a trade off. I’d say go for the older model. Thank you, I really appreciate the help with this. You may remember me (or not hahaha), I was struggling some weeks ago about waiting for Kaby Lake laptops or go with a Skylake one. I got tired of waiting, and actually, first reviews have been quite disappointing so now I’m between this Acer Aspire S13 (i5, 8/256GB) for 900€ or the Asus UX305UA with same config for 950€. The S13 is also available with i7-6500U for 30€ more. Could you tell me, not very extensively but just what would the main differences be and which one would you find better here? I’m extremely confused and I need it as soon as posible, I have no more time to wait :S I would greatly appreciate your anwer, thanks man! HI, see my replies above to Daniel Papp’s comment, he had to choose between the same two. In very few words: baklit, yet more shallow keyboard on the S13 and runs a little hotter, while the UX305 gets a non-backlit keyboard and runs cooler. 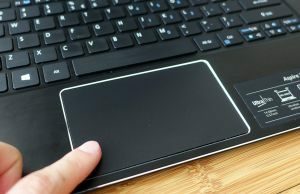 Also a better trackpad on the S13. The fan is active most of the time on both. 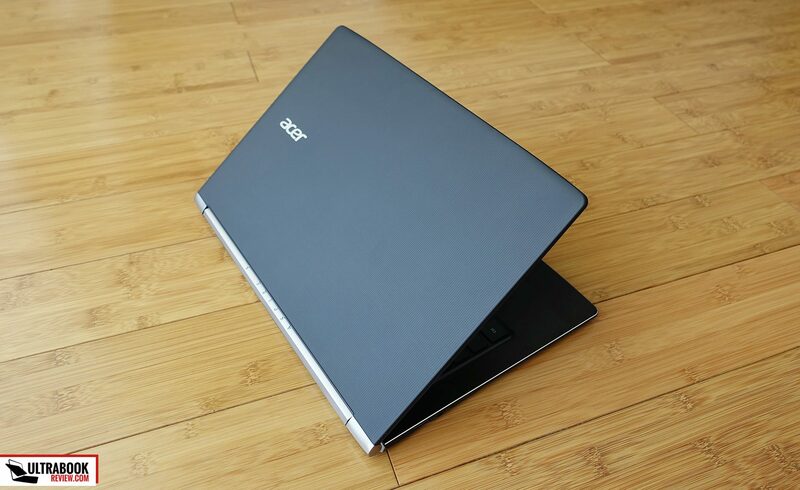 I am looking at the Acer Aspire S 13 S5-371T-56KX vs ASUS ZenBook UX305CA-UHM1. Both are available for $599. I like the ASUS body and the fact that it is fanless but I am kind of worried about the sound quality. The ASUS is also available in same specs but QHD screen for +$100. There’s a major difference in performance between the two, I believe this should be your starting point. The COre M platform on the Asus will only handle basic activities and some light multitasking, while the Core i on the Acer is more powerful. I can’t really remember how the two compare in terms of speakers, read my review of the UX305UA, it gets the same speakers as the CA as far as I know. Personally I wouldn’t get the QHD+ screen on the Asus, the FHD resolution is sharp enough for a 13-incher and having a lower resolution panel helps with battery life and overall performance. 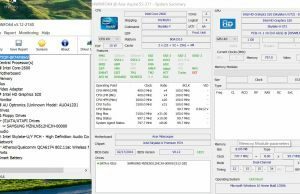 Acer released updated Kaby Lake versions, with the i5-7200u models (S5-371-55DC). I'm seeing these at Micro Center sites across the country (including my local one). 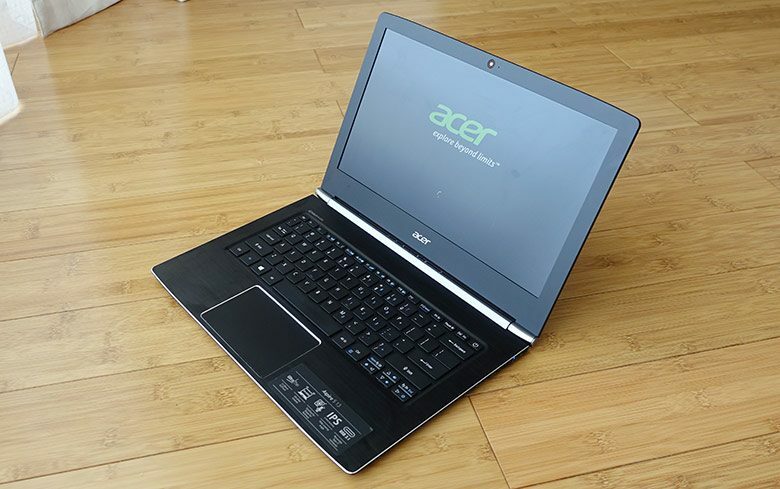 There's also a i7,7500u model available on Acer's website. Do you know if these newer versions have Thunderbolt? And if these updated versions address some of the issues you noted? 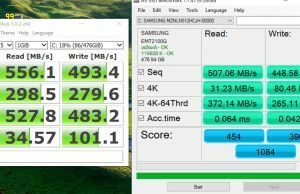 And do any Acer ultraportables support NVMe? I can't tell for sure but I believe they don't. These upgrades usually only address the hardware and Kaby lake doesn't provide TB3 support by default, they still require an extra chip for it. That aside, the KabyLake models will probably run a little cooler and longer with some tasks, but there's no big difference between generations. As for NVMe support, the Nitros have it but those are not ultraportables. I can't remember of any smaller units with NVMe out of the top of my head, but I might be wrong. 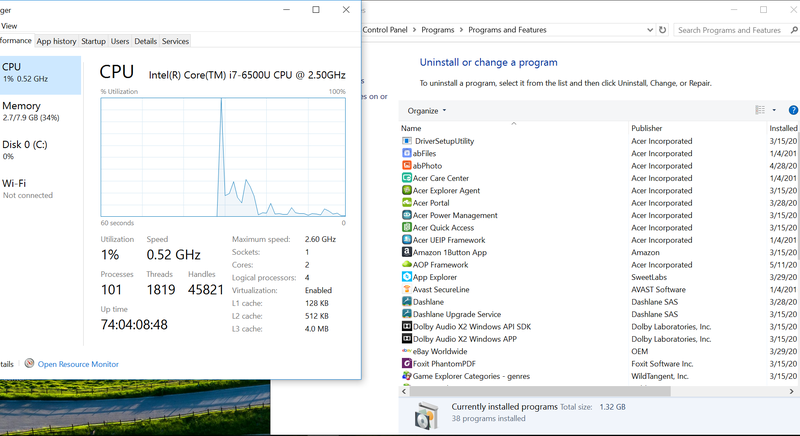 What's up with the ComgyView panel? Seems to be IPS but in other models IPS is specifically called out. I'm looking at the 55DC misty pretty seriously now as it can be had for 700 USD. That's the current one offered here, but some open boxes with a 6500u, touch panel and a 512gb SSD run around 720 USD. I don't care so much about the touch panel, but I want the IPS. It also looks like the 7200u is obviously par with there 6500u. Are the panels roughly going to be equal (aside from touch)? Thanks Andrei. I wanted to thank you for putting up these reviews as they've been very helpful in making my purchase decision. With your site and others, I was able to research my options thoroughly and go in prepared when it was time to buy. I picked the S13 up (371-DC55 version with a 7200U in it) a couple weeks ago. It ended up coming down to this one and a Yoga 900 that was an open box. It was a tough call as there was a lot about the Yoga I liked. My budget was $1000 USD. It ended up coming down to price as there was $200 difference ($300 if it wasn't opened). While I liked what the Yoga offered, I didn't find that the features didn't justify the extra money for my needs. That $200 savings allowed me to get a 2 year accident protection on it. Considering I have broken an ultrabook before (fell out of my bag onto a parking lot's pavement), I felt the money spent was worth the extra peace of mind. 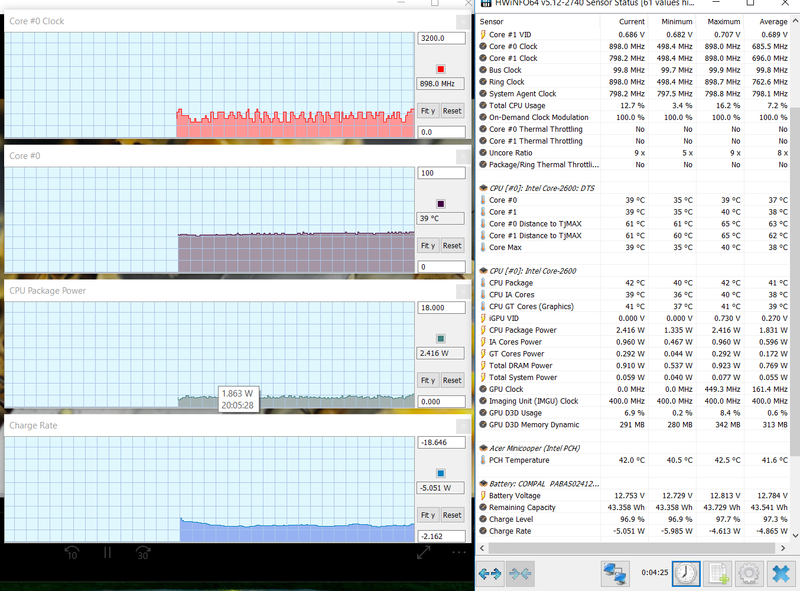 I also looked at the Asus UX306UA (Kaby version) and the UX390UA. Both are very nice, but I HATED their keyboards. Among the worst I've typed on, in my opinion. The S13 definitely has some compromises in it, but I think most of them would be ok by the average user. It checked most of my boxes for needs. 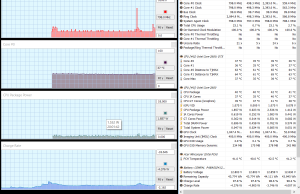 Thunderbolt, PCIe SSD, and more memory and maybe a 7500U would have been nice, but would have driven up the cost. I don't like the track pad (Asus and Lenovo were much better), but the screen's decent and it performs well. I've also been able to run Kali Linux as a VM (fresh install) just fine on it as well. A clean install was also easy, but unlocking all the options in bios was a bit different than most other systems I've worked with. I updated to the latest 1.08 BIOS out of the box. The machine is very quiet and I barely hear the fan, if at all. For my needs, it's very thin and light and comfortable to work with. I bought this mostly for traveling. 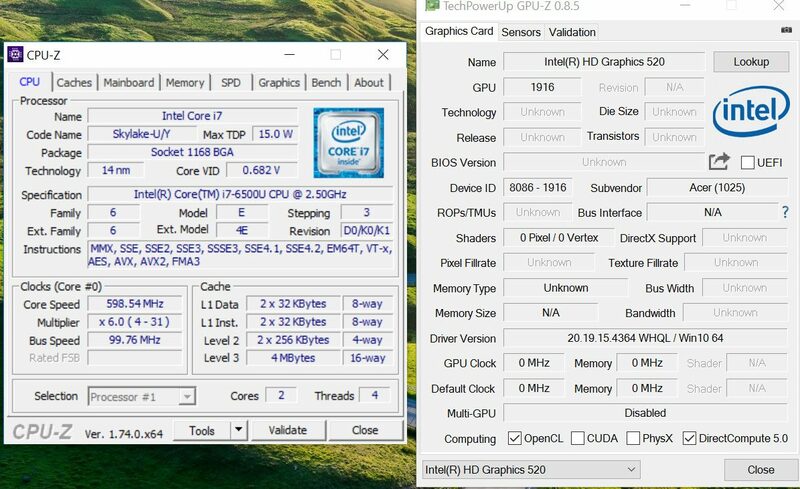 My main laptop is an MSI GT60 that's been heavily upgraded. But when you're sitting with a few minutes in an airport, it's just too bulky to get out and check email. The S13 fits the bill wonderfully. 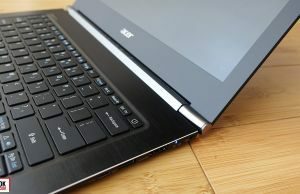 Overall, I think it's a solid buy, and I'd recommend it for those wanting a solid ultrabook that won't break the bank. It won't be the prettiest or best specced, but it'll definitely be a good workhorse. Hi, thanks for your extensive feedback and I'm glad my posts were helpful. any idea if the new bios update fixed the fan noise and temps? 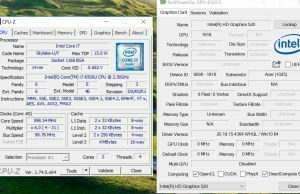 would the core i5 version run cooler and with less noise? Can get the same specifications as the s5. The only obvious difference being screen size 13.3/14 inch. Same weight too.